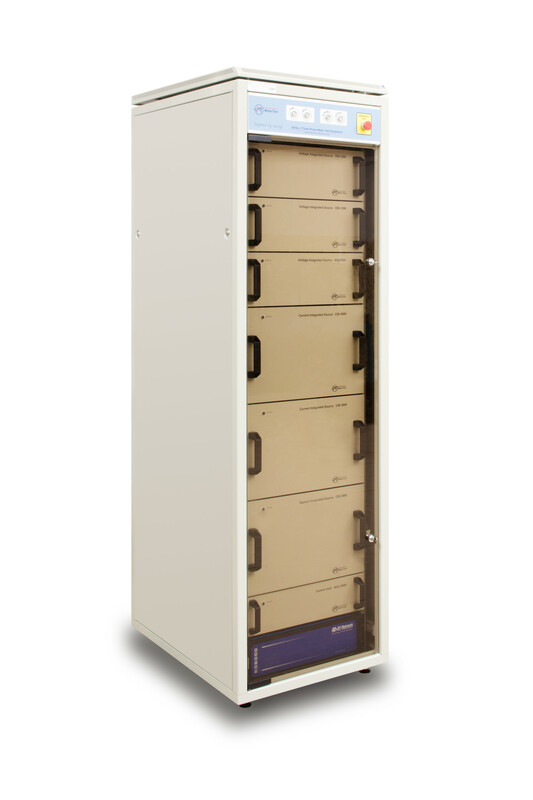 The PS3 three phase power source was designed to provide a stable alternating current and voltage source for three phase electricity meter test equipment. Standard versions of the PS3 three phase power source are able to generate harmonics up to the 21st order. Enhanced harmonics versions marked with H are able to generate harmonics up to the 41st order. The PS3 three phase power source is equipped with the ACU-3000 control unit. Its main tasks are: detecting shorting between voltage and current circuits, controlling emergency switches, controlling tariff systems, signaling the presence of dangerous voltages on suspension racks and more. (1) Notation (H) means that optional H version is available, e.g. PS3(H) means two versions are available PS3 and PS3H.